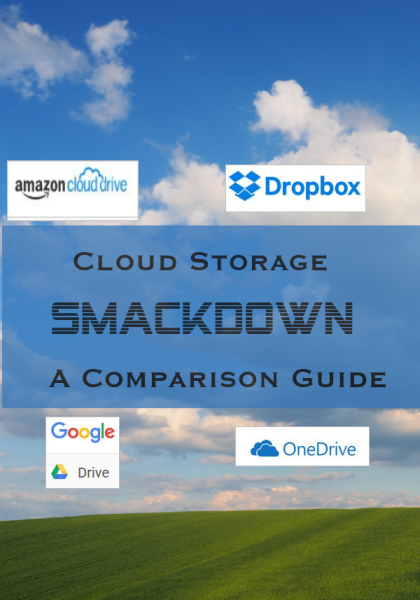 If you’re not already using cloud storage on your smartphone and tablet, you’re missing out on a fantastic capability. Are the photos and videos on your phone being backed up? If not, then you may lose them all if your phone malfunctions or becomes lost or stolen. Cloud drives not only backup all the photos and videos on your gadgets, but they also let you access your photos and videos from other Internet-connected devices. Plus, you can use them to store other files, such as Word docs you want to work on both at work and at home. In addition, most cloud drives let you easily share photos, videos and other files with others – family, coworkers, colleagues, customers, anyone at all. I have a cloud storage directory which I share with my mom, where I place photos of the grandchildren for my parents to enjoy. I also share files with other family members and business associates. The four major players which offer compatibility with the predominant operating systems – mobile and desktop – are Microsoft OneDrive, Dropbox, Amazon Cloud Drive and Google Drive. How do they stack up in a head-to-head competition? Here’s my evaluation of the options, including the pros and cons of each. Dropbox quickly became the gold standard in a file sharing cloud drive. It’s super easy to set up and use, and because it was among the first to the party, many people already use it. You can store any type of file in Dropbox, making it ideal for sharing large video files, slideshows or presentations. You can share files in Dropbox with people even if they don’t have a Dropbox account, but it’s more streamlined if they do have an account. There’s no reason for someone not to set up a Dropbox account if you want to share files with them. It’s free and takes only a few minutes to create a Dropbox account and install the software on your computer and app to your phone and/or tablet. You can access your Dropbox files (including photos and videos) through the Dropbox website, using a mobile app or, if you’ve installed it on your computer, through Windows Explorer. As noted above, a lot of people already have it. It’s also been around for awhile, so it’s ironed out the bugs and offers a very smooth, robust product. 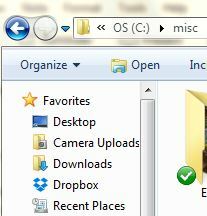 Dropbox integrates easily into Windows Explorer, meaning you can access files in your Dropbox just like you would any other directory on your computer. 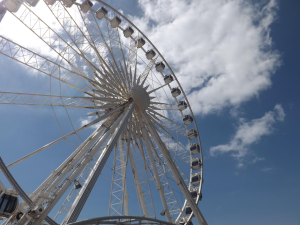 You get only 2 GB of storage with a free account, plus 500 MB additional for each person who signs up using your referral link and a bit of extra space for going through the tutorial and turning on auto upload for photos on your phone or tablet. That’s not much storage, especially compared to some of the competitors offering the same type of service. Additional storage is pricey, costing $9.99 a month (or $99 annually) for 1 TB of space. There’s no happy medium for people who don’t need a ton of space. Microsoft’s cloud drive product works very similarly to Dropbox and offers apps for your computer, phone and tablet. Plus, it’s already built into Windows 8 and Windows 10, so you don’t have to download separate software for those operating systems. You need to sign up for an account, at which point you’ll get 5 GB of free space. Then, install it on your computer (if necessary) and mobile devices. Like Dropbox, it lets you access your files just like any other directory in Windows. 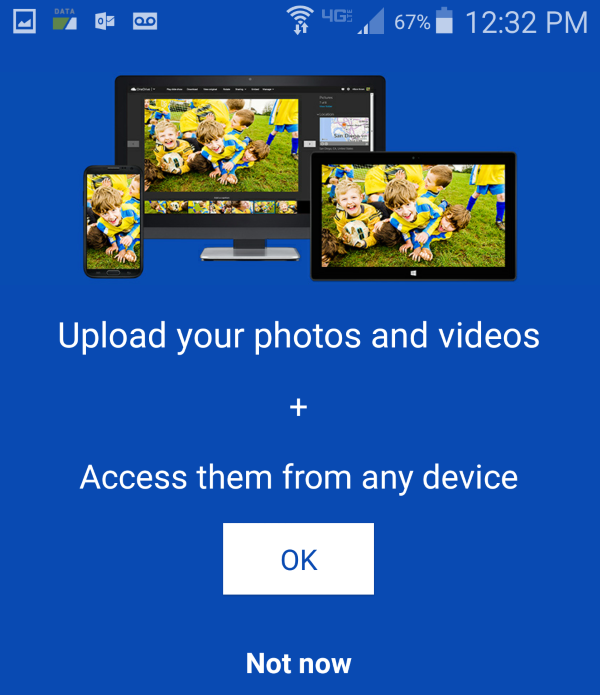 You can take photos and videos on your phone and have them magically appear in your cloud storage on your computer and anywhere else you have OneDrive. 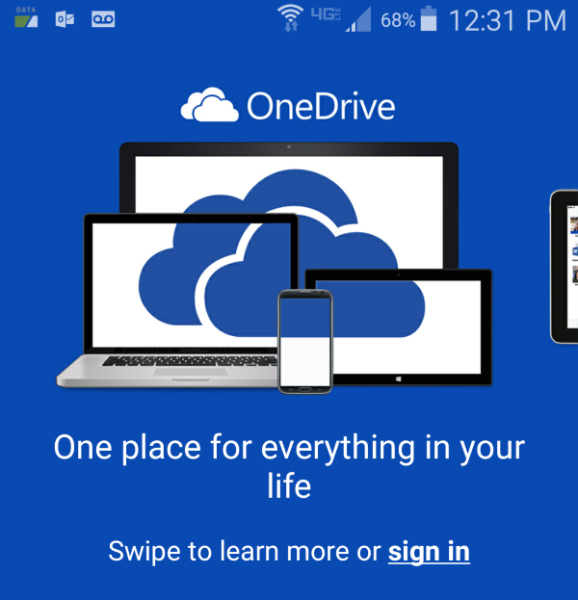 OneDrive gives you more free storage than Dropbox (5 GB instead of 2 GB). Plus, you can tack on 50 GB in additional storage for $1.99 a month. If you already have some sort of Microsoft account (such as Live.com, Outlook.com or Hotmail.com), you can simply login to OneDrive with those credentials to sign up for 5 GB of free OneDrive space. If you subscribe to Office 365, you probably have an enormous amount of free OneDrive space – 1 TB or 1000 GB – at your disposal, so there’s no need to pay extra for another cloud storage service – ever. OneDrive’s 5 GB of free space may be more than Dropbox, but it’s still a fairly small amount of space compared to Google Drive’s 15 GB. If you already have a Gmail or other Google account, simply login to Google Drive with your Google credentials to quickly set up a Google Drive account. 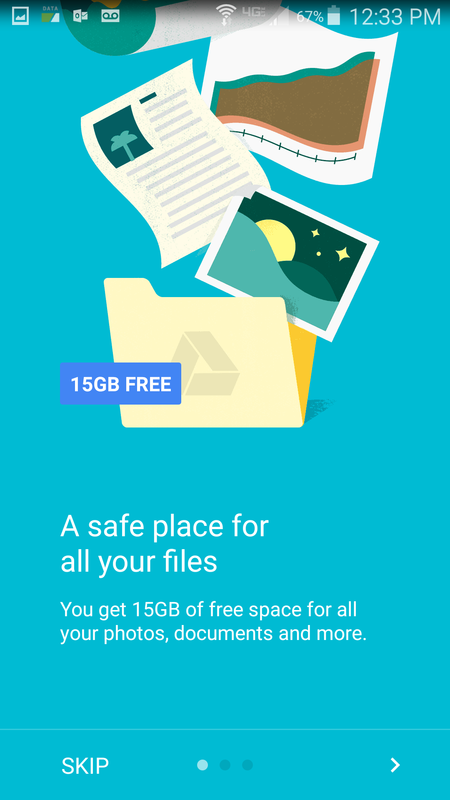 Google Drive comes with 15 GB of free space, with a caveat – the space includes your Google Photos and GMail messages as well as your Google Drive files, so that effectively decreases your space a bit. Additional space costs only $1.99 a month for 100 GB. Google Drive offers a large amount of free storage, and additional storage is dirt cheap at $1.99 for 100 GB. It’s easy to use, like OneDrive and Dropbox, including Windows Explorer integration and mobile apps. Google Drive integrates with Google’s free apps for photos, docs and spreadsheets. Google Drive has rebranded itself as Google Backup and Sync – it now wants to easily backup all of your computer’s important files, provided there’s enough space. The 15 GB of free space includes emails. That means that if you use a Gmail account for your email, you may be using up a small portion of your free Google Drive space even before you activate a Google Drive account. If you subscribe to Amazon Prime (Try Amazon Prime 30-Day Free Trial here ), you’re eligible for free Prime Photos with unlimited storage of your photos in Amazon Cloud Drive plus 5 GB of free Amazon Cloud Drive space for other files like videos and documents. People who don’t subscribe to Amazon Prime can still sign up for the lower tier of Amazon Cloud Drive, with unlimited photo storage and 5 GB of additional space for other files, for $11.99 per year after a free trial period. Amazon’s other option, which also offers a free trial period, is called “Unlimited Everything,” because it offers unlimited cloud storage for all files – photos, videos, documents or whatever. It costs $59.99 yearly and sounds like a great deal at first, right? The problem is that Amazon’s native Windows software doesn’t integrate with Windows Explorer like Dropbox, Google Drive and OneDrive do. There are third-party apps that let you do this, but I’ve learned the hard way to feel skeptical about relying on a third-party provider for something like this. To access Amazon Cloud Drive from your computer, you need to use the website or the Amazon Cloud Drive software. There’s no folder where you can create your own directories easily or drag files to and from it. This is a huge shortcoming in the service, which would otherwise provide a great deal. If you’re looking for a way of backing up everything on your computer offsite at a low price, then Amazon Cloud Drive deserves a close look. The Windows software makes it easy to choose folders from your computer to backup automatically, and the $59.99 annual plan gets you unlimited storage for your backups. You can also choose to backup only folders containing your photos, if you’re an Amazon Prime member who simply wants to take advantage of the free Prime Photos service. 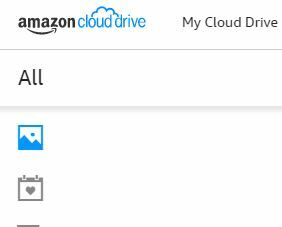 The way Amazon Cloud Drive is set up, without Windows Explorer integration, it seems like they don’t intend for you to use their service for standard file storage and sharing. It works well as a cloud backup service, which might be just what they intend. Amazon Could Drive offers generous free photo storage for Amazon Prime members, plus mobile apps for auto-uploading videos and photos to the cloud. It provides a great backup solution if you don’t mind paying $59.99 per year. With the Unlimited Everything plan, you can backup your computer’s data to the cloud, with easy setup and no worries about running out of space on an external hard drive or in your cloud storage. For someone who has used other cloud services such as Dropbox and Google Drive, the lack of Windows integration makes it a nonstarter for every day cloud storage. However, I’m looking at using it to backup my computer’s data, particularly the photos, since I subscribe to Amazon Prime and it’s part of my subscription. What kind of cloud drive do you use? Have you switched from one to another, or do you use multiple services? What do you like most about the cloud storage services you’ve tried? This post was written in March 2016 and updated in April 2019.